Chemical engineer, Sandra Belboom is undertaking a doctoral thesis on developing a methodology to make effective environmental choices for energy systems. She conducts research under the direction of Prof. Angélique Léonard, Head of Unit "Processes and Sustainable Development" at the Laboratory of Chemical Engineering, University of Liège (Belgium). This unit has been carrying out LCAs and Environmental Declarations for over 10 years and provides LCA training within the « Greenwin » competitiveness cluster. Geert Bergsma is the manager of the LCA department at CE Delft and has many years of experience in project execution and management. He was the project leader of the project 'The development of the SITA CO2 scan'. He is engaged in various subjects, among which waste management, consumer products, aenergy policy and sustainable application of biomass. Jocelyn Blériot, Head of Editorial and Content of the Ellen MacArthur Foundation, has spent most of his career in the media industry as a journalist and editor. 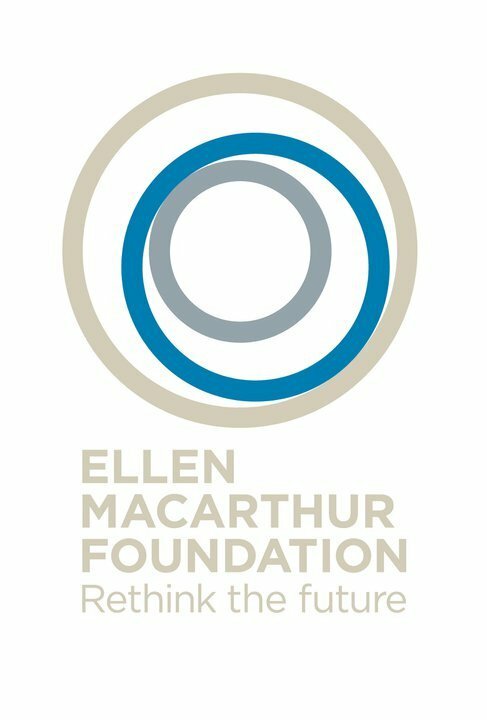 Having joined Ellen MacArthur in 2007, he was central to the creation of the Foundation and is responsible for effective communication of many of the ideas. He notably develops written and video content, coordinates academic and professional reports and edits educational resources produced by the Foundation. David has 10 years' experience in product design and development from working in the retail and hospitality industries as a senior designer and project manager. He has recently completed an MSc in Renewable Energy at the Centre for Alternative Technology in Wales. The thesis submitted studied the synergy of LCA and lean business transition utilising full supply chain value stream mapping techniques, the subject of the study was an SME renewable energy manufacturer. David has recently taken a new career direction with a position with international Renewable Energy Consultants, Natural Power. Ana Isabel Carvalho obtained her PhD in Chemical Engineering in 2009 from the Instituto Superior Técnico, Portugal. She is currently an invited Assistant Professir at HTI and a researcher at the CEG-IST. Her main research activities have been related to sustainability of chemical processes and supply chains. She has been involved in numerous projects with international companies such as Mitsubishi Chemicals Japan, ICES in Singapore, Codelco Norte in Chile and Rayong Olefins in Thailand. She is the author of scientific articles in international journals and conferences. She was awarded with 6 international awards, (e.g. best article in the field of sustainability processes, assigned by the American Institute of Chemical Engineering -AIChE). Laurent is responsible for implementing Bayer's sustainability strategy, with a focus on the life cycle approach of their products. An agricultural engineer by training, Laurent also undertook a Masters of Public Relations in the Environment at the University of Cergy Pontoise in Paris, where he developed expertise in LCA. 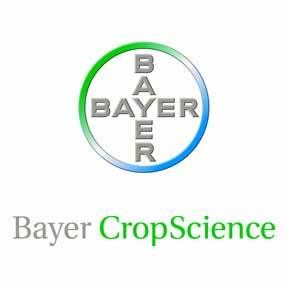 Responsable Développement Durable au sein de la Division Environmental Science de Bayer CropScience. Expert in LCA, Dr. Galatola is working since July 2010 in the Directorate General for Environment at the European Commission - Environment & Industry Unit, on issues of Ecolabels and environmental impact of products. Previously Dr. Galatola worked in DG Research, Unit "Environmental Technologies and Pollution Prevention." After founding the software company West Valley in the 1990s, Pierre has led multidisciplinary teams in large European research projects. The EDIT project (2001) included the development of an electronic platform for exchanging environmental information on materials and manufacturing processes along the supply chain. In 2007 he founded EcoMundo, providing expertise on REACH and industrial eco-design applied across supply chains. Laura is specialised in life cycle assessment and whole of life costing with focus on the built environment and, food production and supply chains. She has been contributing internationally as an environmental educator for a waste management project in Lima, and as a researcher on a biological waste treatment. 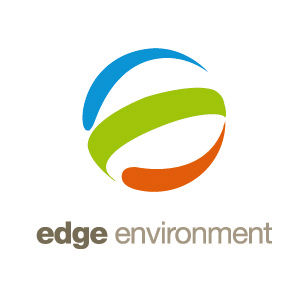 Laura is part of Edge's team working with Walmart, Fundacion Chile and the Sustainability Consortium developing product assessments and retail supplier KPIs. She is part of Edge's sustainable procurement team working with whole of life costing of assets for government clients. Her passion and current focus in Australia is on LCA based research for application and development of environmental labelling standards for building products. Sebastien Humbert has worked on the development of IMPACT 2002+ and USEtox methods, and is currently working on their update. He co-leads the development on a database on water, along with ten enterprises. He is responsible for the scientific department of Quantis, is an expert on a number of projects and participates also in the UNEP-SETAC Life Cycle initiative. He is also leading the group writing the ISO norm on water footprint. Denis Le Boulch is a Research Engineer Expert in Life Cycle Analysis at EDF R & D. More than fourteen years of experience in the field allowed him to participate in various EU projects (Eclipse, Needs), a variety of articles and be a jury for several theses. He conducts studies on EDF stroke pathways and kWh, and also various expert missions (he had been an expert of the Economic, Social & Environmental Assessment for Ecological Footprint method). He is the Vice-President of SCORE LCA, Association Cooperative Research on LCA. Bernard has been engaged in policy preparation and evaluation at different levels of decision-making (local, regional, national, international) related to sustainable development. He has also been intensively involved in inter- and multidisciplinary research in the context of sustainable development. He was one of the founders of the Centre for Sustainable Development at Ghent University and up to September 2004 he has been project leader. Since 1998 Bernard is a visiting professor at Ghent University and - till 2008 - he has been the chair of the Centre for Sustainable Development. 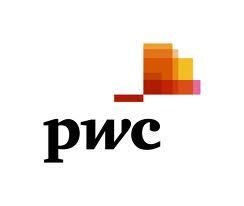 His main professional occupation is research, education and consultancy. The current focus is on 'new industrialisation within the context of transition', 'sustainable life cycle assessment' of products and 'social responsibility' of organisations. Renault uses the LCA approach to implement its sustainability strategy. Mr. Morel has elaborated environmental indicators and undertaken the LCA of some 20 models since the Scenic II in 2004. Since 2007, the Renault eco2 and Dacia eco2 labels have stimulated dialogue between Renault and its consumers on car life cycle. Stéphane Morel's mission is to deploy an LCA approach throughout Renault's activities, from R&D to marketing. He is a member of the French committee for ISO 14020 normalisation and of the UNEP / SETAC Life Cycle Initiative. Edmundo is professor in the Department of Chemical Engineering and coordinator of the Sustainable Management of the Environment Institute of the University of La Frontera, Temuco, Chile.The main lines of research in LCA are solid waste management, construction and agriculture. He is currently vice-president of the Red Chile ACL (www.redacv.cl). SC7 committee, which has entitled him to participate actively in the working group of ISO 14067 and ISO 14069 standards on carbon footprint calculations for products and companies. Michael Ooms also participated in the revision of the PAS2050, and coordinated a project with BASF, PlasticsEurope, DEKRA and ADEME. He focused on testing environmental footprint calculation methodology for products and companies, which was developed by the JRC-ISPRA for the European Commission. Textile engineer, Vanessa Pasquet conducts a doctoral thesis at the laboratory GEMTEX (GEnie et Matériaux TEXtiles) in the project ACVTEX (life cycle assessment applied to protection of the environment). Her research, under the direction of Professor Anne Perwuelz, focus on textile eco-design: the study of textile processes with low environmental impact and the development of a methodology for environmental comparison of textile processes with LCA. 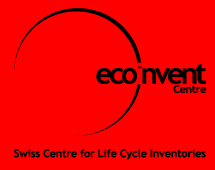 To promote the adoption by businesses of recent methodological developments in Life Cycle Assessment (LCA), Dr Jerome Payet* (Researcher in Environmental Assessment at the Ecole Polytechnique Federale de Lausanne - EPFL) created CYCLECO, specialized LCA, eco-design and environmental labelling. Dr. Payet is actively involved in national and international research projects on LCA methodology and life cycle impact assessments. In academia, Jérôme Payet is also researcher at the EPFL and expert in impact evaluation in European and international LCA platforms (ADEME, AFNOR, European Union, Ecoinvent, UNEP-SETAC Life Cycle Initiative of the United Nations). 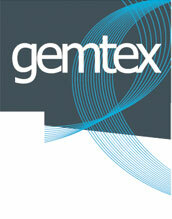 For the past 20 years, Anne PERWUELZ has been undertaking research in the GEMTEX laboratory. Her main areas of research relate to material surface treatment. Since 2006 she has been looking at LCA as a means to measure environmental impacts of textile products and to optimise their processes. She is engaged in three LCA-related research projects in partnership with the textile sector and experts. Pierre is responsible for the coordinating the environmental team of all production sites setrvicing the Oxylane network (composed of Decathlon, Koodza, Quechua, Domyos, Tribord, B'twin...). This includes the environmental evaluation of sites to identify risks and improvement priorities, as well as the capacity building of production managers so that they can implement environmental management systems with their site teams. Dr. Marco Recchioni obtained his Ph.D. in Mechanical Engineering in 2007, his research topic were linked to Eco-Design tools and the use of LCA supporting the product design phase. He worked as LCA analyst in the private sector from 2008. At the present time he is a scientific officer at the European Commission Joint Research Centre. He is in charge for ELCD maintenance and the development of the soon to be launched ILCD Data Network. PhD in Economics - Environment and Natural Resources (University of Clermont-Ferrand), Mr. Revéret also holds a Master in Applied Ecology (University ofOrléans). His areas of specialization are economic and political analysis applied to the environment and natural resources, environmental assessment and sustainable development. Also co-author of Guidelines for social LCA of products published by the UNEP / SETAC in 2009, he was involved in the development and testing of this toolsince the mid-2000s and its application across different cases studies conducted by AGÉCO Group. Jude is an experienced designer, project manager and commercial researcher with a varied professional background in design, supply chain and sustainability. She developed a passion for sustainable design while completing her Industrial Design Honours Degree. She is currently building upon this passion through her current MSc in Integrated Environmental Management. Jude is currently working with the Ecodesign Centre based in Cardiff, Wales. Here her role is leading the dissemination and training activities of the "LCA to Go' project. This ambitious four-year project aims to recruit 100 small and medium enterprises to integrate LCA into their product development process. Guido Sonnemann acts as Science Focal Point for the UNEP Resource Efficiency / Sustainable Consumption and Production sub-programme.His main focus areas are sustainable innovation, 3R (reduce, reuse, recycle) and the accounting of resource use and its environmental impacts. He is currently Secretary of the International Panel for Sustainable Resource Management, which provides LCA-based scientific assessments . 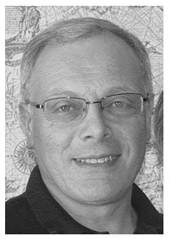 Guido is co-founder and coordinator of the UNEP/SETAC (Society for Environmental Toxicology and Chemistry) Life Cycle Initiative. He is also current chair of the Steering Committee of StEP Initiative (Solving the E-waste Problem) and the E-Waste Working Group of the Global e-Sustainability Initiative. 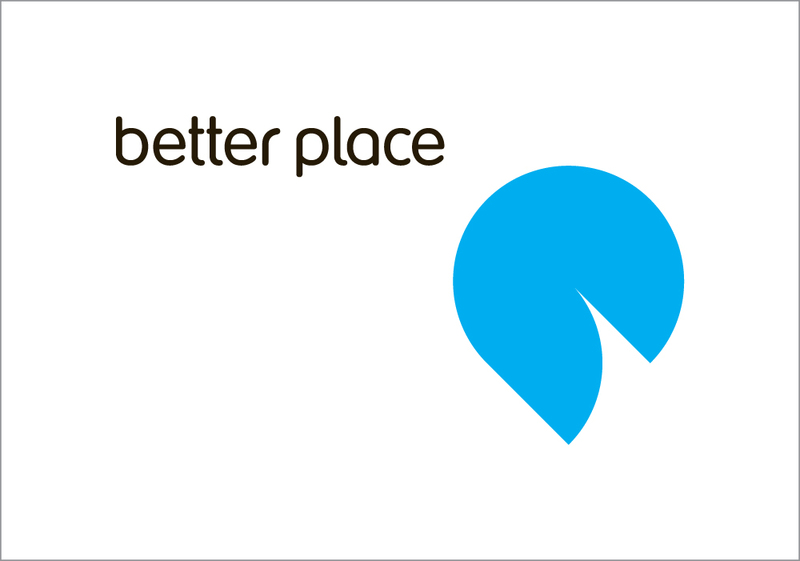 Inbal Sternberg (Fried) is the global environmental manager at Better Place, a company that was established in 2007 with the aim of encouraging mass adoption of electric vehicles through providing of EV infrastructure and service. Ms. Sternberg's role includes managing all the company's environmental aspects and impacts - including products, operations and people. Ms. Sternberg Holds a BSc degree in chemical engineering and an MSc in biomedical engineering from Ben Gurion University (Israel), with experience in the fields of design for environment and environmental management systems from international companies like Intel electronics. Vee Subramanian, Senior Consultant at PRé North America, Inc.
Vee Subramanian is a Senior Consultant at PRé North America, Inc. where he works towards product and supply chain sustainability using tools and approaches that include life cycle thinking, innovative and standardized metrics, visioning exercises, scenario analyses, stakeholder governance and collaborative strategy development. Vee holds a PhD in Sustainability and a MSE in Industrial Engineering from Arizona State University. Prior to joining PRé, Vee worked as a doctoral researcher for the Sustainability Consortium, which funded his thesis to improve the effective comparison of LCA based impacts of products. The cradle for his interest in Industrial Ecology was a "drinking straw" and the performance of life cycle and systems modeling for Henkel Consumer Goods, Inc. Vee is responsible for coleading the PCR Guidance Development Project, representing the American Center for Life Cycle Assessment (ACLCA) in the United States Technical Advisory Group to ISO/TC 207, and co-chairing the ACLCA PCR Committee. Based in the USA, Tom Swarr is specialized in design for environment and safety, life cycle management of industrial product systems, and community-based strategies for sustainable development. He is the program manager for an initiative co- sponsored by the UNEP and the SETAC to build the capacity of global supply chains to implement sustainable business practices. Tom has 40 years of experience in industry at United Technologies and General Electric, spanning advanced materials and manufacturing processes, product design and development, business development and corporate environmental strategy. Sonia Valdivia is working since 2005 at the Secretariat of the UNEP/SETAC Life Cycle Initiative at the UNEP Division of Technology, Industry and Economics. She is a PhD graduated in environmental waste management and policies at the Technical University of Karlsruhe and has worked for organizations such as UNITAR (United Nations Institute for Training and Research), NACEC (North American Center for Environmental Cooperation), INE (Mexican Institute of Ecology) and as a GTZ coordinator of the Pan-American Network for Environmental Waste Management. She is author of two books on environmental management in the building sector and co-author of a number of UNEP publications on these issues. Bo Weidema has more than 30 years of experience in environmental issues, since joining the emerging environmental grassroots movements in 1972. In 1984, with a M.Sc. in horticulture from the Royal Agricultural University of Copenhagen, he initiated an interdisciplinary, inter-university course on environment of which he became the first administrator and lecturer. As private consultant and member of international committees from 1985-1989 he was involved in developing standards and markets for ecological food products. In 1993 he obtained the Ph.D. degree from the Technical University of Denmark on a thesis on life cycle assessment. Since then he has been working as a consultant on life cycle assessment. He was instrumental in the development of the SPOLD LCI data format and database network from 1995 to 2001. He is executive manager of the ecoinvent database, professor at Aalborg University, member of the UNEP/SETAC Life Cycle Initiative's task forces on Social aspects (co-chair) and Natural resources and land use, and expert delegate to the ISO TC 207 / SC5 on life cycle assessment. Having joined Rhône-Poulenc (become Rhodia in 1998) in 1984 as a research engineer in mechanics and material science, and after different positions in R&D, technical customer support and business, Jean-François Viot has been in charge of developing and implementing environmental impact assessments within Rhodia for 5 years. Such assessments now cover a major part of Rhodia product portfolio. He has more particularly elaborated a simplified tool, based on LCA methodology, able to be applied to R&D projects as soon as their earliest steps. Paul Hohnen has worked intensively since 1975 on a range of global economic, development and environmental issues as a diplomat, international civil servant, Director of Greenpeace International, and Strategic Director of the Global Reporting Initiative (GRI). Now an independent consultant, his clients include governments, intergovernmental agencies, business and non-profit organisations. Hohnen conducts executive level workshops on embedding sustainability in business strategies and is an expert on materiality and sustainability reporting. Frequently invited to act as a conference facilitator, Hohnen has been a keynote speakerat a variety of high-level global business, government and NGO forums. His work has been featured in mainstream and speciality press and he is a regular contributor to Ethical Corporation magazine and The Guardian Sustainability Blog.